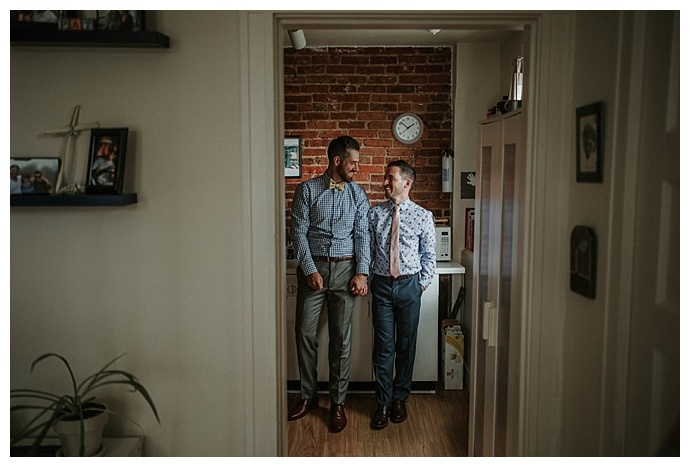 Pat and Jordan fell in love in Baltimore, and the city has become an important part of their relationship. 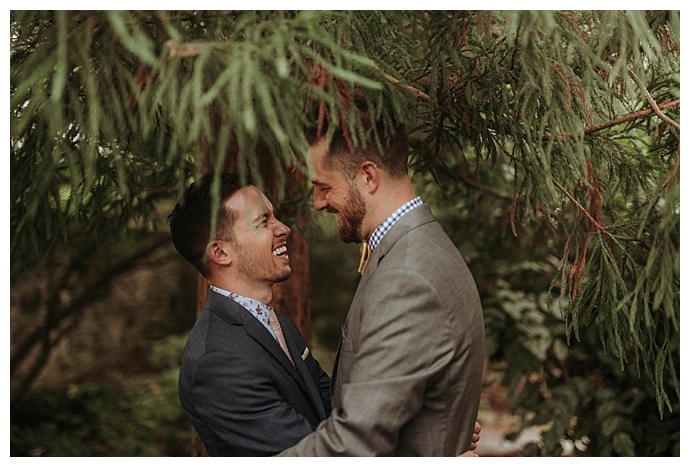 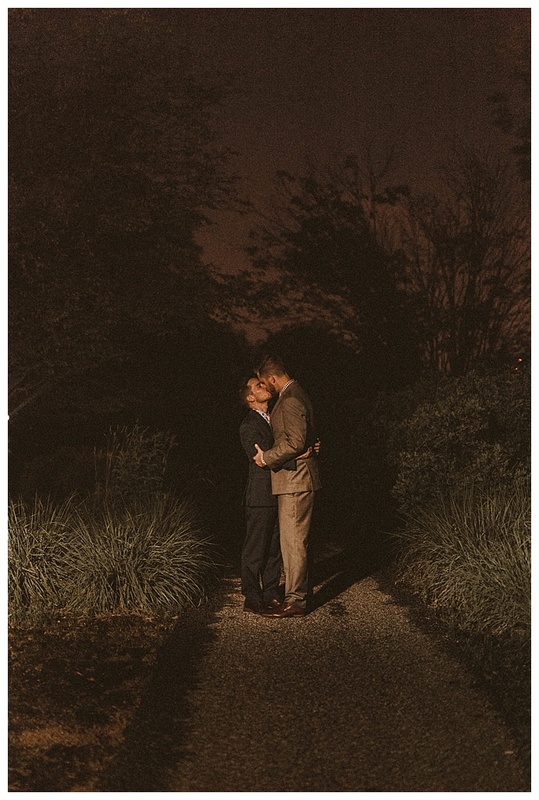 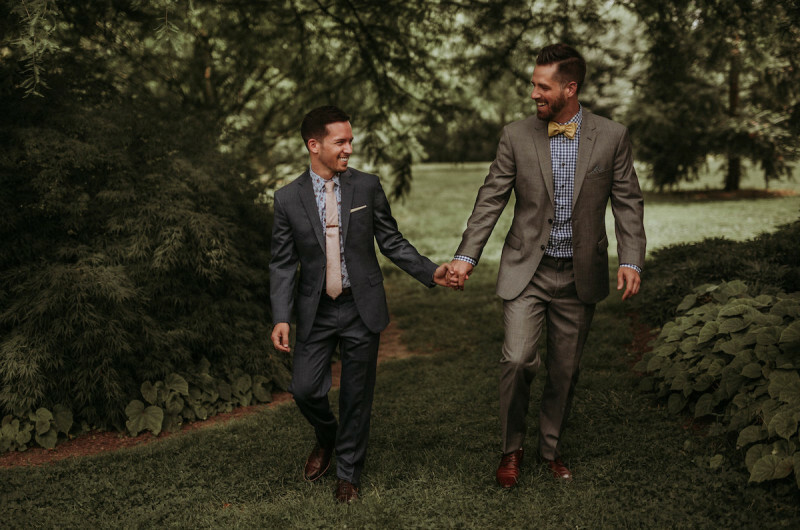 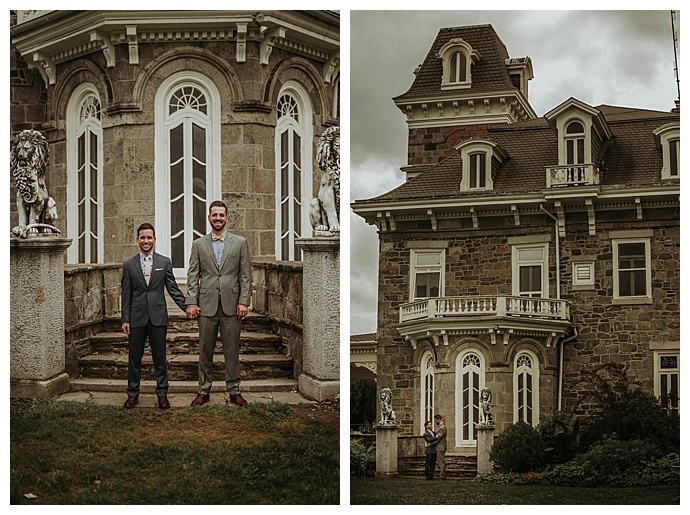 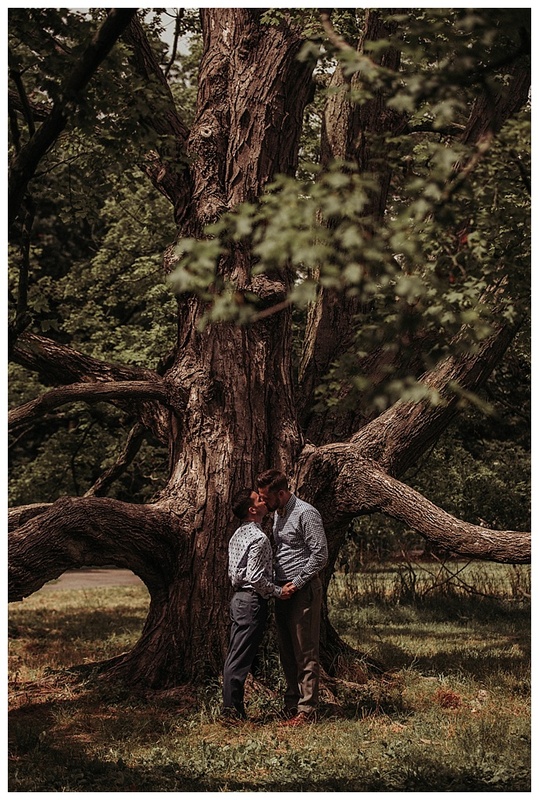 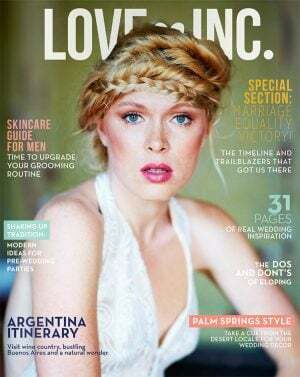 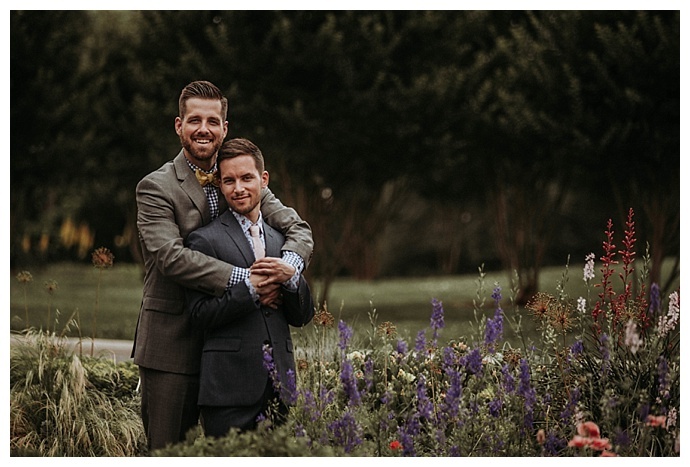 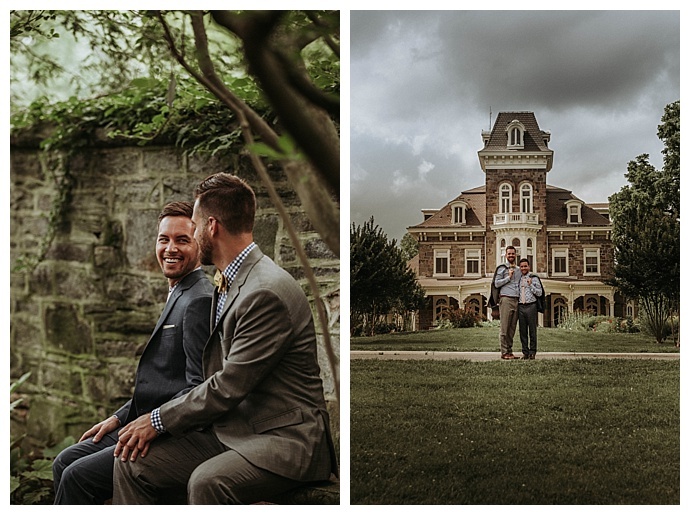 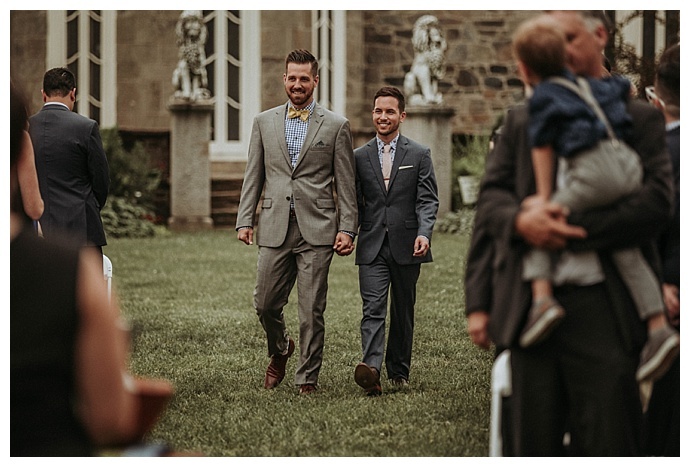 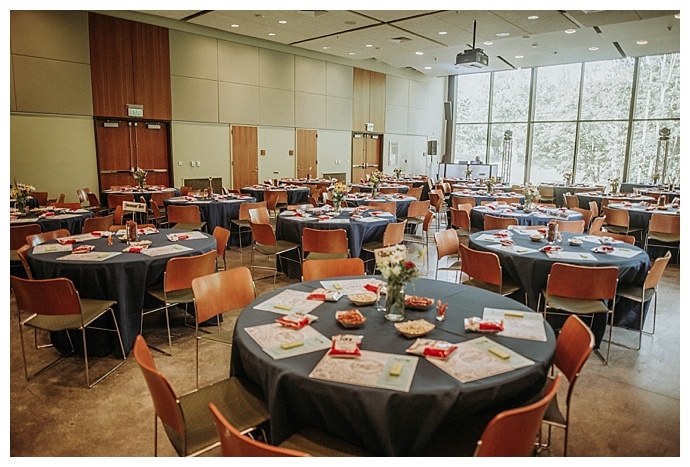 So when they decided to tie the knot at the alluring Cylburn Arboretum in the heart of Baltimore, they wanted to infuse as much of the city they love into their wedding day as they could. 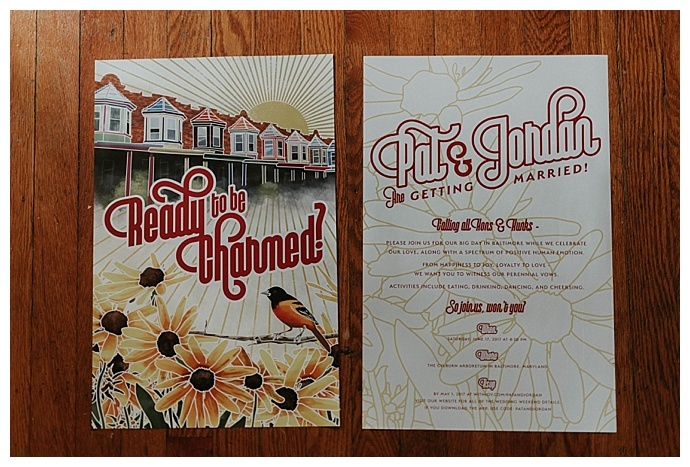 It began with an invitation suite designed by a close friend, featuring an oriole and black-eyed Susans, the state bird and flower of Maryland. 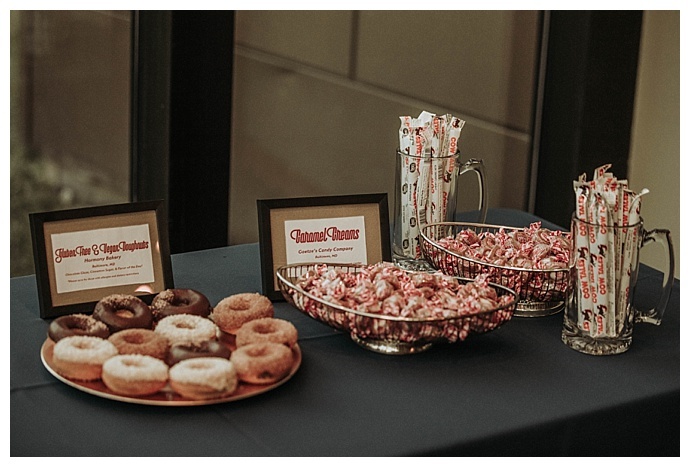 They had a Baltimore favorite on the beer menu, Natty Boh, and brought in the Chowhound Grub Truck for catering and donuts from Diablo Doughnuts and Harmony Bakery for dessert along with caramel cream candies from Goetze’s Candy Company, which is based in Baltimore. 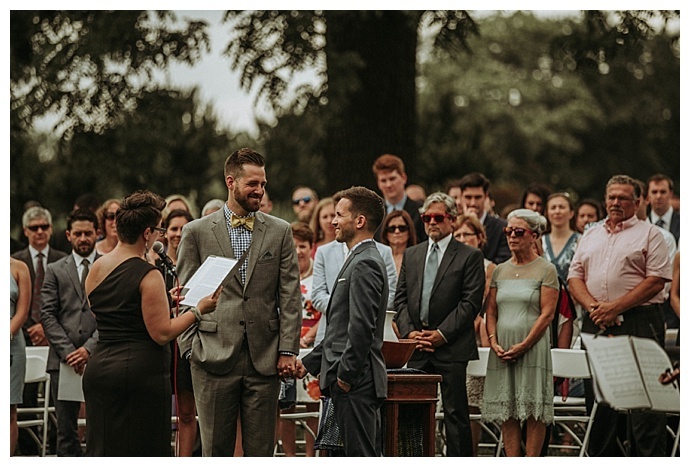 Black-eyed Susans also filled the reception tables that were named after Baltimore neighborhoods, and the grooms designed their own coloring sheet to keep the kids busy during the reception. 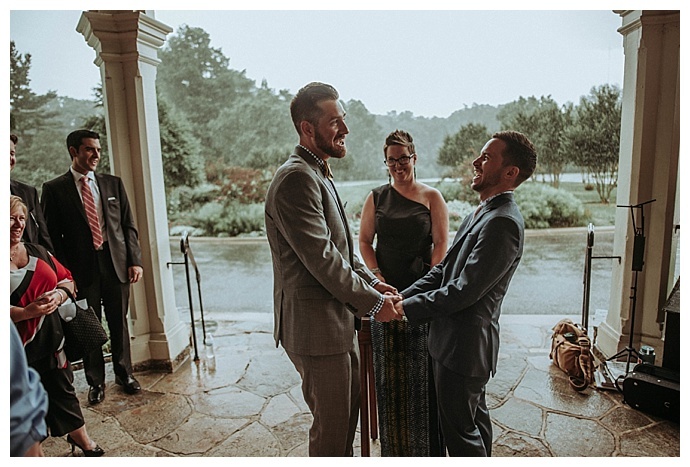 Even after the skies opened up mid-ceremony and they had to finish the vow exchange underneath a covered area, there wasn’t one detail of Pat and Jordan’s wedding day that wasn’t perfect. 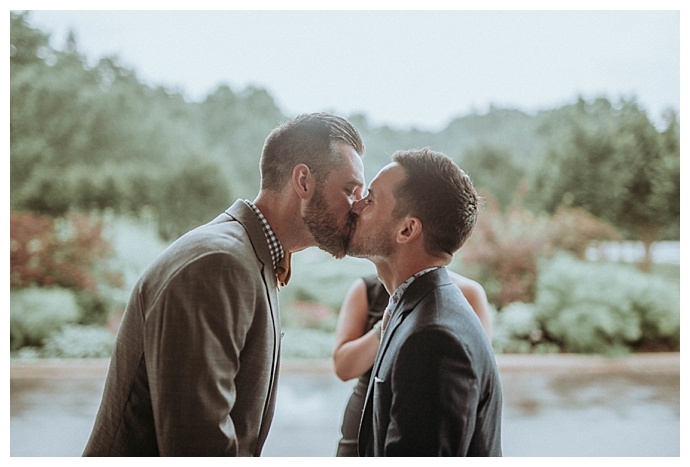 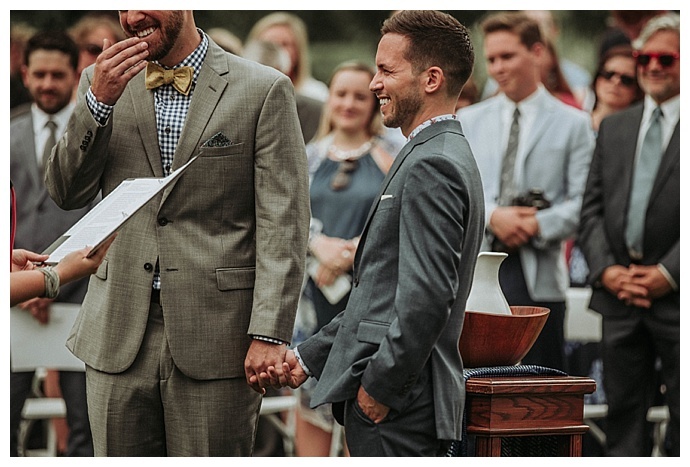 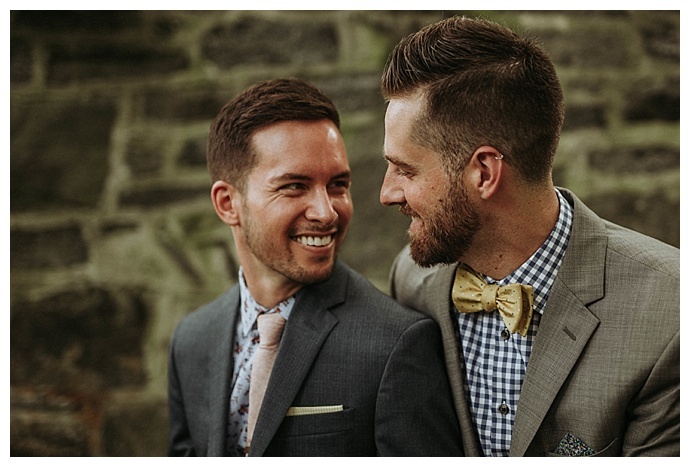 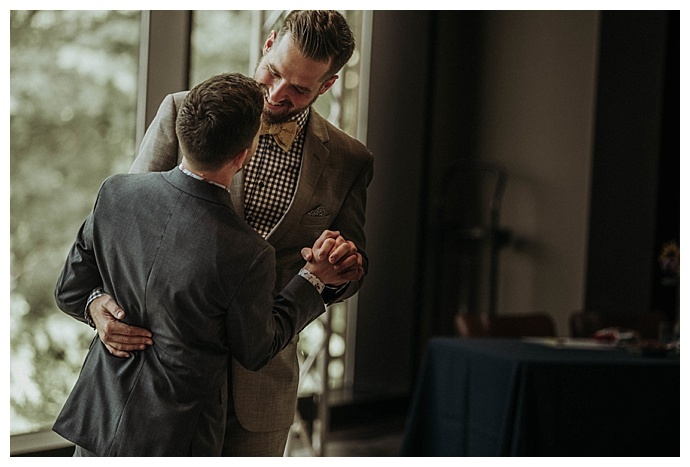 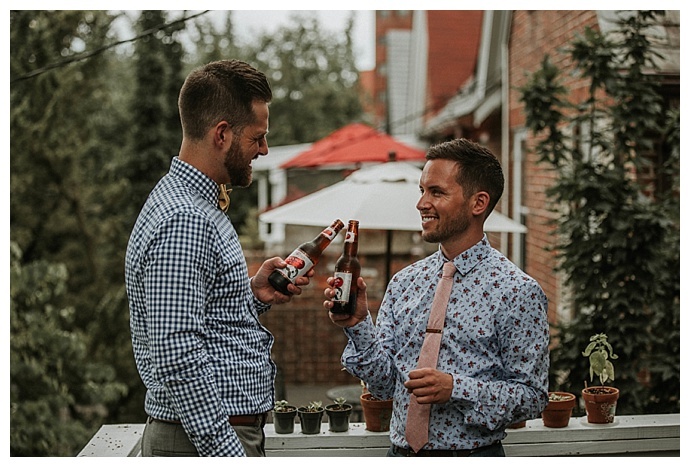 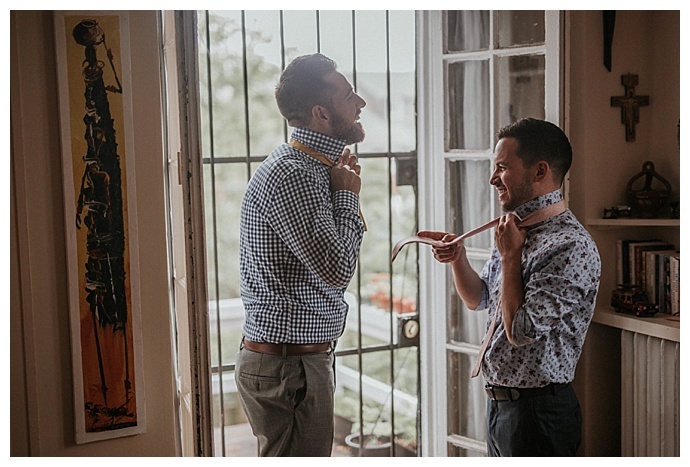 We love these images captured by BHUNTERco, and the way these two newlyweds look at each other is giving us all the feels. 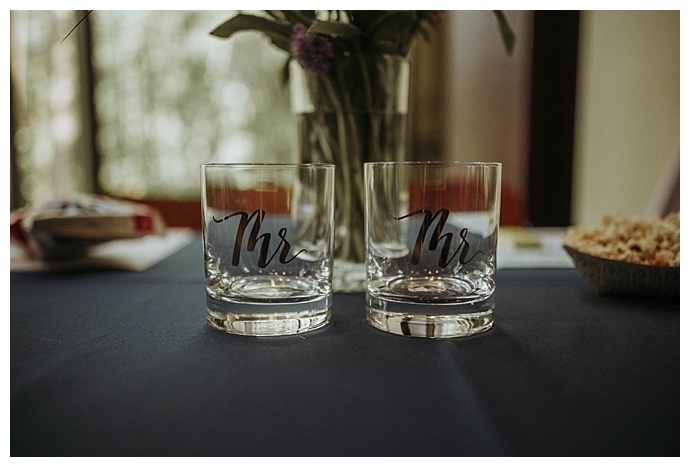 Rentals: Cheers Party Rentals, Inc.